Selecta Systems, are revelling in the success of being nominated as finalists in no less than five categories at the National Fenestration Awards. 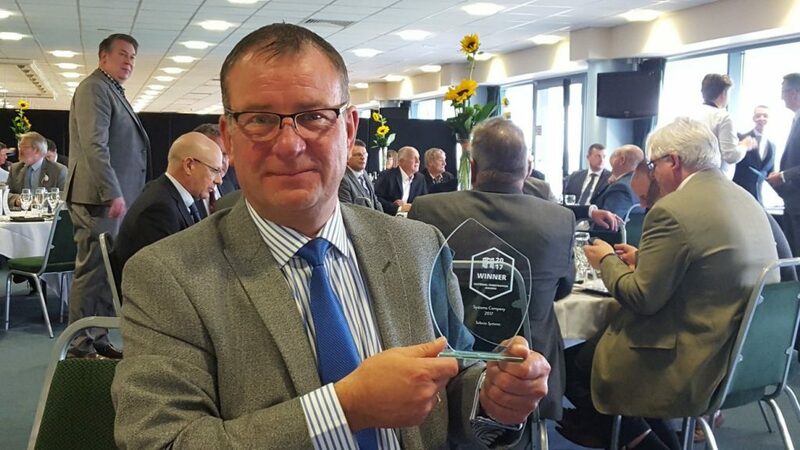 Sales Director Andy Green, talks about the nominations and why Selecta are beginning to win accolades and be firmly recognised as one of the fastest growing and most progressive PVCu window and door system houses. “Having been voted Systems Company 2017 at last year’s awards, we are delighted to be able to defend our crown at this year’s awards as well as being nominated for PVC Company, New Product of the Year, Social Networker and Fabricator / Manufacturer. The nominations epitomise and recognise the amount of hard work that the team have put in over the last couple of years, as Selecta goes from strength to strength” says Andy. It is quite clear that Selecta’s presence and activity in the market has grown considerably over the last couple of years, as has the popularity of the Advance 70 Window and Door System and the service and support package of which Selecta provides. The NFA nominations endorse this, combined with perseverance, hard work and a positive swing in market perception. The change in perception and positivity surrounding Selecta and the Advance 70 System, has not only resulted in Selecta being nominated finalists in five categories at the National Fenestration Awards, but it has also had a major impact on the number of fabricators now converting to the Advance 70 System and choosing to #bepartofthefamily, as Andy highlights.